Virginia College offers courses exclusively online; learning is asynchronous and, while deadlines are expected to be met, coursework is scheduled at times and places that are convenient for the student. Welcome to Virginia College Online! Destiny brought you to this page, and determination will elevate you to new heights! You have obviously made the important decision to better your life, and Virginia College Online is an excellent place to begin! Whip up a feast of success by requesting free information today, and you can advance your culinary career at your own pace. Virginia College Online is unique in our Culinary Arts offering, because our program is delivered entirely online. Veteran cooks and chefs who have already tackled a Culinary Arts Diploma program are encouraged to enroll in our Culinary Arts Associate Degree program and advance their skills, training, and techniques from the comfort of their own home. Our program is designed to deliver Culinary Arts instruction in an accelerated, asynchronous format that allows for little interruption of daily personal and professional commitments. Do you fit the Virginia College Online mold? 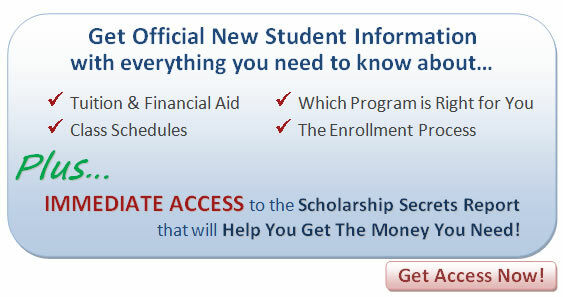 Find out now by requesting free information from Virginia College Online! Don’t fall prey to a cookie-cutter college! We have the Culinary Arts program you need, and the main ingredient is individuality! Your training is asynchronous; complete assignments at times and places that are convenient for you. Meet deadlines with ease by scheduling your coursework around your personal and professional agenda. Competent and committed instructors are enthusiastic about your success and will take you from convention to creativity with ease! They are available to students through email and chat. Remain an integral part of the student community through discussion boards. Program length will vary and is dependent upon the amount of time you commit to your Culinary Arts courses. What are you waiting for? We’ve made it easy for you to request free information right now! Request a complete course catalog and attend Virginia College Online this year. More money, an easier life, and the pride of holding a Culinary Arts degree…the sky is the limit! Representatives at Virginia College Online are anxious to discuss your options and get you started on your career-path, so request free information today to learn about the financial aid and scholarships options that are available to you! Still have questions? Just request a free enrollment kit and we will help you do the rest. Classes begin throughout the year, so there's no better time to start than now. Virginia College Online is a senior college accredited by the Accrediting Council for Independent Colleges and Schools. Request complimentary official new student information from Virginia College Online and learn more about taking control of your culinary career and your future! There is no obligation and you are not asked to make an immediate commitment, so you have nothing to lose! But, think about what you can gain as a graduate of Virginia College Online!